Good monopod with max. load capacity of 4 kg. Comes with fluid head. S4 head is better, of course. S2 has not so good feedback. It looks like Manfrottos patent is out of date? 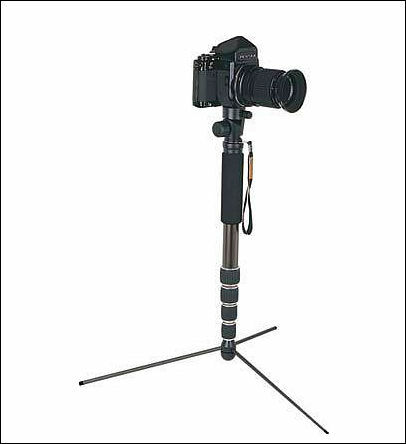 Wish someone would make a monopod that could be locked in the upright and be able to work a small 60cm slider. Am I asking for too much? ..............Yeah probably I am. I've been waiting for something lower in price than the Manfrotto ones... Both the benro and the red an black one there look good. Do we know if the Benro is also aluminum? Do we know if the Benro is also aluminum? 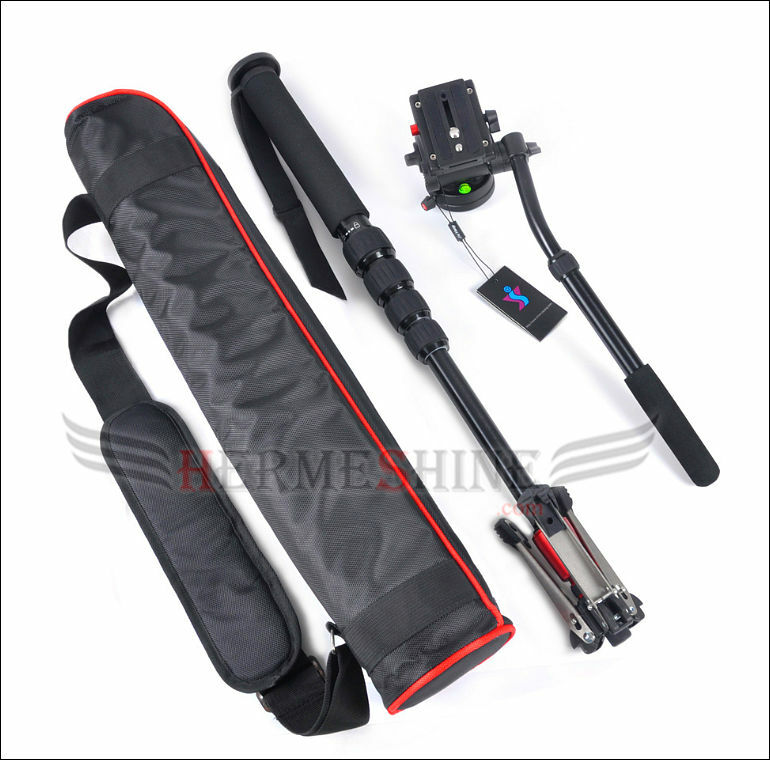 Just picked up one of the Benro S4 Monopods... will give a quick report once it lands here. 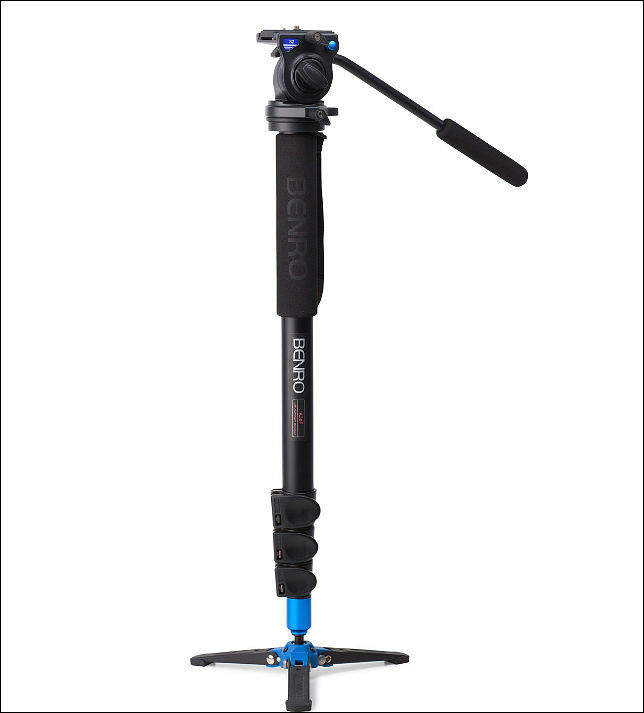 Does anyone know if the Benro monopods have a fluid cartridge in the base seeing as the heads pan unlike the Manfrotto? What you mean? All fluid action is happening in the head, and different heads are supplied with different monopods. @RatLabProductions I was wondering the same thing myself. There's that red thing down at the bottom that could be the same kind of fluid pan head as the monfrotto but the main camera head looks like it could pan too. The manfrotto monopods have a fluid cartridge in the base to pan as the head on the 561HDV doesn't pan only tilt (its a modified version of their video head). I know the S4 head pans but I was wondering if it also had a fluid cartridge in the base like the manfrotto. I have read conflicting reports. I would love to have the cartridge and the pan in the head as well which is why I was asking. Sometimes its easier to just rotate the monopod rather than use the pan bar on the head but I like the option. 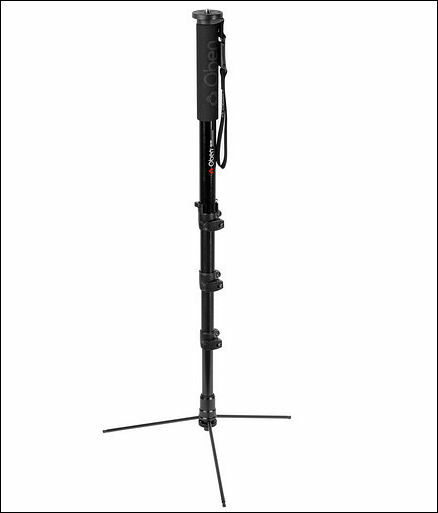 The one thing that has kept me from buying the Manfrotto 561HDV is that I would love to use the head on a slider or small sticks and not having a pan motion is a deal breaker. On the Benro not being able to pan by twisting the monopod might be a deal breaker also. Right now it looks like the Benro has both but I wanted to see if anyone knew for sure. After checking out some Youtube reviews (I don't know how to embed) It appears to have a similar fluid cartridge in the base as the manfrotto but also has a head that pans. 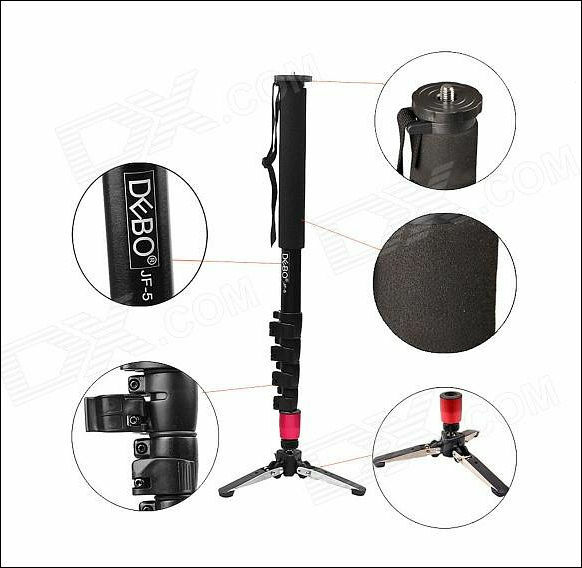 Looks like this will be my next monopod. Now to try and find a good price with shipping to Canada. Benro looks better than Manfrotto offerings. And heads look like the same they use for their tripods. I had a bad experience with base fluid cartridges...I had a Manfrotto 560B and once I started panning slow, it would start clicking, like it didn't have enough fluid all around for the smooth pans. Sold that one fast! My Manfrotto base pan cartridge snapped clean off. Poorly designed, was not especially rough with it just got caught on something when I picked up the Monopod. The read up it was a problem experienced by other owners. I hope the Benro base pan cartridge is of better quality. I've had two Manfrotto 560B monopods and with both of them, the fluid cartridge above the tripod foot was useless for panning. The internal friction inside the cartridge is stiff enough to torque the thin extension shaft, causing it to twist slightly as you pan. 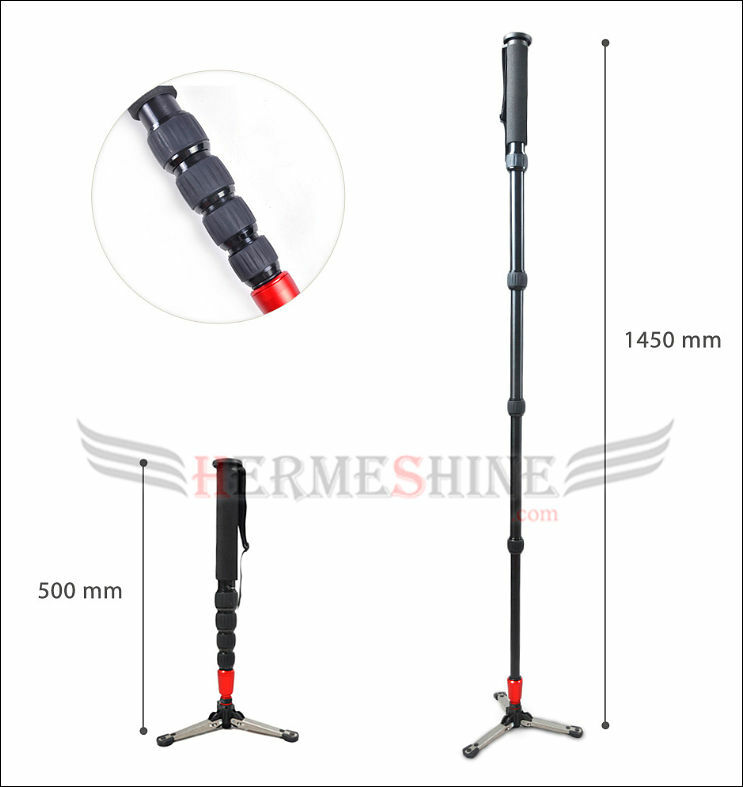 At a certain point, the shaft's resistance to twisting overcomes the cartridge friction, and the whole monopod twitches as the built-up torque in the shaft is suddenly released. This happens repeatedly as you pan and glitches your attempt at making a smooth pan. To fix the problem, I inserted a small washer in each of the three screws that attach the tripod foot to the bottom ball joint. That frees up the ball joint to rotate smoothly and effectively disables the fluid cartridge. 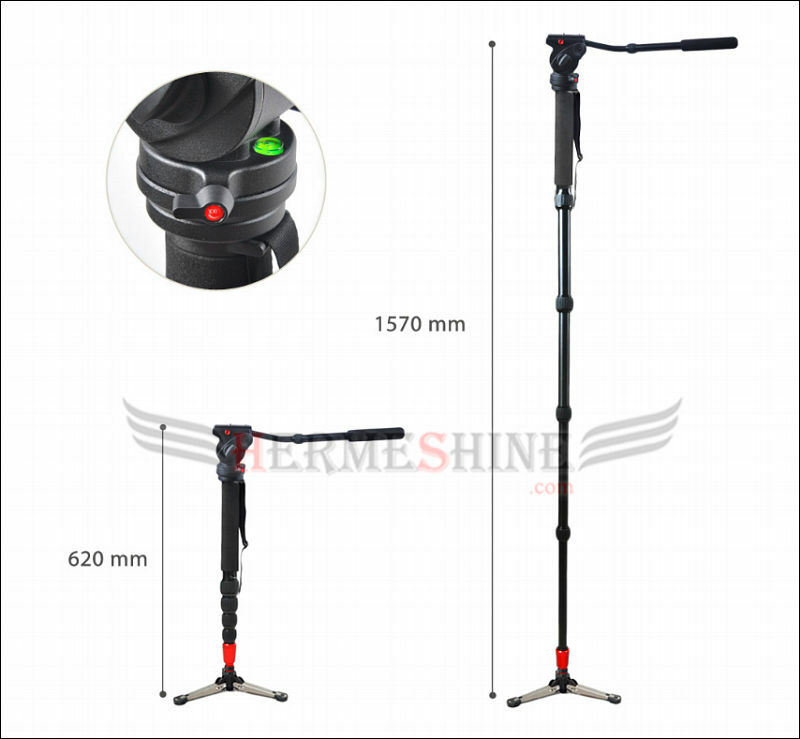 As a result, the monopod will no longer stand erect on its tripod legs, but with a camera mounted, it was far too top-heavy to trust anyway. @LPowell have the same problem, could you please post a photo of your modification? Manfrotto is no good. Benro seems much better with usual fluid heads. I've had the 560 and the 561. I concur with @LPowell that the 560 sticks when panning but I haven't had the same issues with the 561 due to it being larger and heavier. we have two 561s and they used to stick when you were moving past the vertical position. We keep them regularly lubricated with WD-40 on the ball at the bottom and have never encountered it since. We don't use them for horizontal panning as it is very difficult to get the right momentum without a fluid head. Manfrotto is saving on everything now. Even WD-40 is not provided for free. Sorry to bring this up again, but does anyone know if there's any difference between the A48FBS4 kit and buying the items separately (A48F + S4 head + ST1 legs)? I've seen some pictures and it seems that the kit has that little blue thing at the bottom, which I assume is some form of pan head? I don't see that in the ST1 legs. I'm asking this, because I can't seem to find the kit anywhere here where I live, thought I can find the separate items. Also, I could maybe save some money on the fluid head, which according to some reviews is nothing special. But I would really like to have the bottom fluid cartridge. 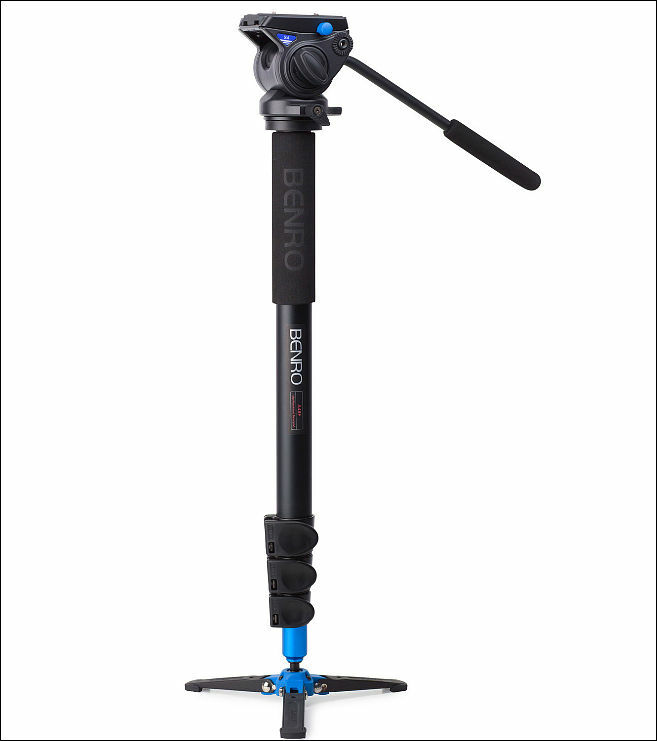 The Oben 2400-L Monopod's legs tend to unscrew itself loose when you pick it up, and they can't seem to stay tightened at all. Had 2 with the same issue. Also, the Oben legs replacement can work with the Manfrotto 682B model, just feels a bit stiff when screwing it in (also won't tighten as well). It is a cheaper solution though.